FICAM-compliant RREB provides fast, two-way communication for processing PIV certificates. Leading edge communication device SNIB3 provides TCP/IP version 6, Gigabit Ethernet, and AES 256 bit encryption for fast FICAM and FIPS 140-2 compliance. And second-generation SNIB2 uses high-performance protocol XNET2 and features three ports, 10/100BASE-T Ethernet, multi-drop RS-485, and RS-232. Want simple, affordable FICAM compliance? Identiv’s communication boards are here to help. The RS-485 Reader Expansion Board (RREB) is a unique reader communication device that installs onto the expansion cable of Hirsch Mx (or DIGI*TRAC) Controllers. RREB features eight RS-485 communication ports, capable of supporting 16 readers on eight doors (one entry and one exit per door). 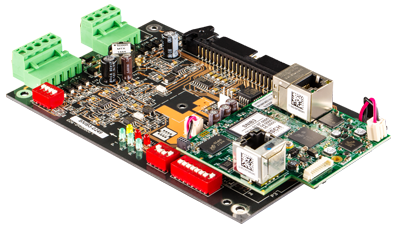 The RREB makes it possible to have extremely high data rates with up to 16 FICAM PACS PIV smart card readers while using Open Supervised Device Protocol (OSDP). TCP/IP version 6, Gigabit Ethernet, and AES 256 bit encryption are foundational for the critical U.S. Federal Identity, Credential, and Access Management (FICAM) standard. 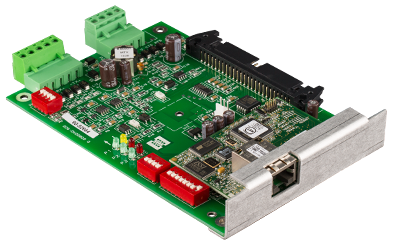 Identiv’s Secure Network Interface Board 3 (SNIB3) provides the encryption you need. And if you already have controllers from Identiv, SNIB3 is a drop-in replacement for the SNIB2 and SNIB communications boards. The SNIB2 is a second-generation SNIB that uses a high-performance protocol: XNET2. The SNIB2 has three ports. One is a 10/100BASE-T Ethernet port. The second port provides a multi-drop RS-485 channel. A third port, RS-232, is available in the master SNIB2 for direct connection to a host PC (no modem).